Art credits to Karen Fung! K-pop, once a niche subject in the United States, has recently garnered a large following. Although 2012’s “Fantastic Baby” by Bigbang may have been obscure to the American audience at the time, last year’s “DNA” by BTS was impossible to miss at the 2017 American Music Awards. What makes this genre so intriguing to its fan “armies”, and how has its popularity spiked in the U.S. only recently? K-pop differs from conventional American pop music in that it contains choreographed dances in its music videos; the performers dance live, often competing in music shows such as Inkigayo or Music Bank to win trophies. This is another key difference. American artists may perform their songs live only at personal concerts or at public events, but K-pop artists often perform live for three weeks during a promotion period in order to boost sales and gain fame. As for the music videos themselves, they often contain CGI elements and follow a complex, in medias res storyline, something the performer’s fanbase will spend weeks trying to decode for Easter eggs. Contrast this with typical American music videos, which often contain muted colors; K-pop music videos tend to saturate every second with color and action, appealing to the eyes of their audience. 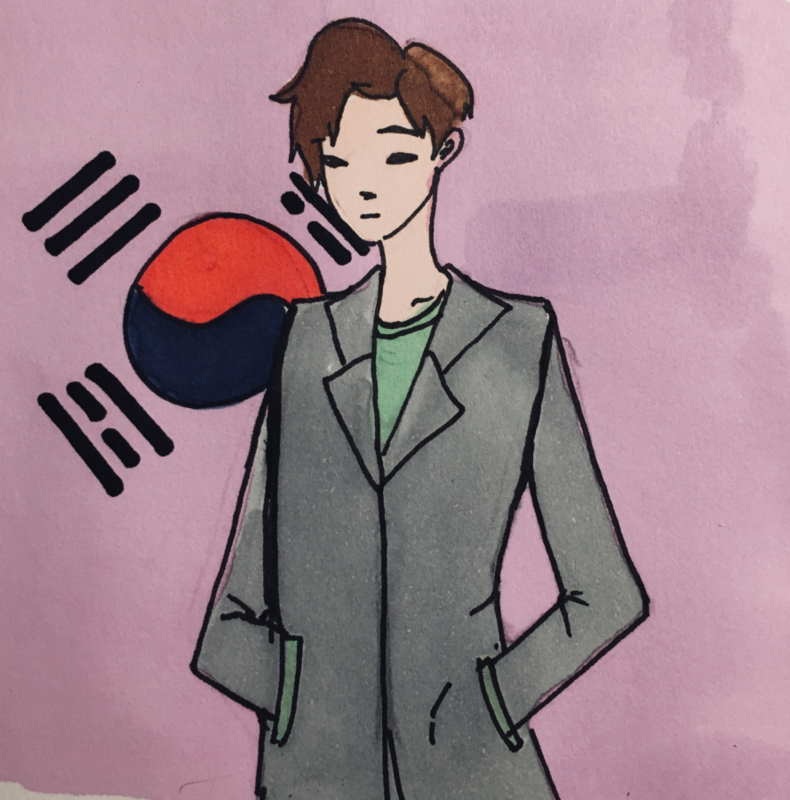 Patrick Feng ‘20 notes that “K-pop music is a derivative subculture, scavenged from parts of Western and Korean music.” Indeed, while it retains tinges of both cultures, the end result is a visually unique industry. Even the marketing strategies of K-pop music are different from those of American pop. For example, while some American artists might wait years before releasing a full-fledged album (Adele, Taylor Swift), K-pop artists often release mini-albums throughout the year along with a new music video, thus maintaining peak interest from their fan bases. The topic of the songs is also important for viewers, some of the most common ones pertaining to summer fun or unrequited love. However, BTS, one of the most popular K-pop groups in and out of Korea, tackles social issues such as mental health and government corruption with their videos, attracting teens with their unconventionally honest music. An avid fan (or Army, as is their fanbase name), Jackie Wong ’20 says that “I find myself relating to them more than I first thought…not all K-pop should be arbitrarily classified as weird; some bands can sing about today’s issues such as economical issues or suicide issues, like BTS.” The crux of BTS’s popularity is in capturing the audience’s attention through these techniques. As for K-pop’s gradual international popularity, many argue that it is part of the Hallyu “Korean Wave”, a phenomenon that describes the world’s growing recognition of Korean pop culture. Others attribute it to the growing interest in Asian culture, including elements of Japanese anime. The 2018 Pyeongchang Olympics also drew attention to K-pop, given the performances of two K-pop artists at the closing ceremony: CL and EXO. Many K-pop artists have held concert tours throughout the United States, including EXO, BTS, and Bigbang; BTS’s tickets sold out in less than four seconds. BTS has a reputation for singing grittier music, often taking a turn away from K-pop tradition. After BTS got invited to perform at the 2018 American Music Awards, media platforms were shocked at the crowds of fans that came to watch the band sing. The synchrony of BTS’s dances along with the messages in their videos creates an unforgettable experience – one that resonates in the hearts of impressionable teenagers.